Rock climbing can be an extreme sport. It can help you tone up, slim down, train your brain, and build your self-confidence. Basically, rock climbing can help you become the best version of yourself – and who doesn’t want that? 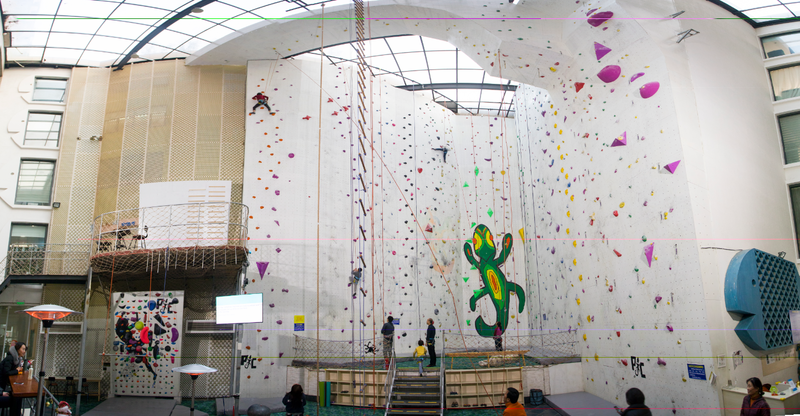 Enter the premier rock pavilion in Shanghai: Park Climbing Gym. This indoor studio is close to Donghua University, near the Yan'an West Road, Hongqiao Road, and Zhongshan Park subway stations. 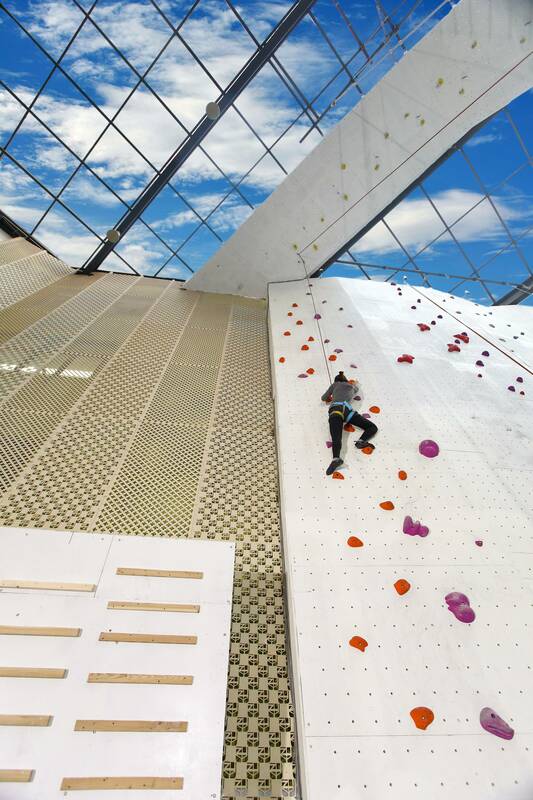 With more than 500 square meters of the floor and over 1,000 square meters of wall space, they’ve for everything from low-key bouldering to difficult climbs. It boasts the highest indoor artificial rock wall in China, the longest roof in Asia, and a panoramic sunroof on the ceiling to make sure you’re getting in all that natural light. 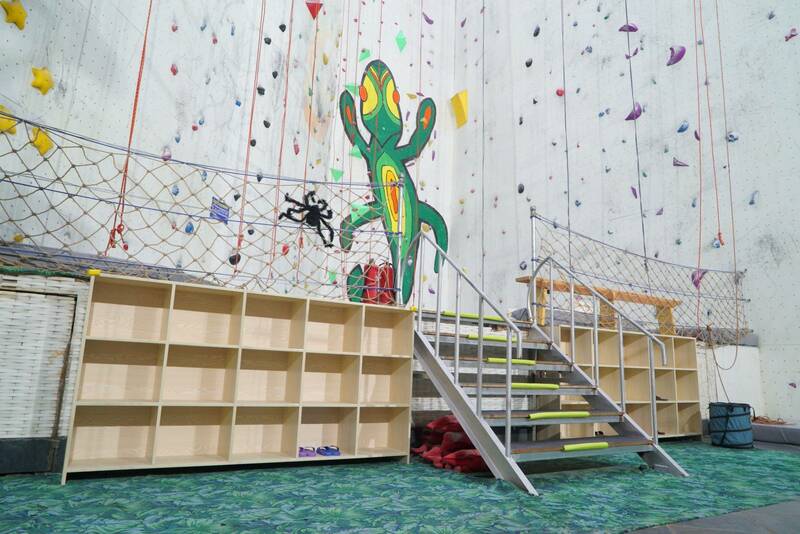 It has a climbing board that can electronically adjust the angle of the rock wall and a 120-inch multimedia projection video system that allows you to watch movies and videos. Just because. They’ve got stage-lights, room for a DJ (making it perfect for parties or company events), and performance spaces for things like aerial yoga and aerial ring dance. With balance training and top-notch facilities, it’s no wonder the movie "Headline Queen" was filmed here. If you haven’t seen it, we think it’s fair to say that it’s de facto pretty cool, so if you’re looking for the next spot to get indulge your spidey-sense, head to Crawlers.